The Golden Age of MTV — And Yes, There Was One It's hard to remember now, but MTV did once play music videos all day. A new oral history recalls that golden age, and the network's meteoric rise to the top of the music industry. "Ladies and gentlemen, rock 'n' roll." MTV went on the air with those words, a minute after midnight on Aug. 1, 1981. The first video was, of course, "Video Killed the Radio Star," by the Buggles. Few people saw the fledgling network; it was carried by cable operators in Kansas City, but not New York or Los Angeles. But within a couple of years, MTV had grown into a behemoth of the music industry. 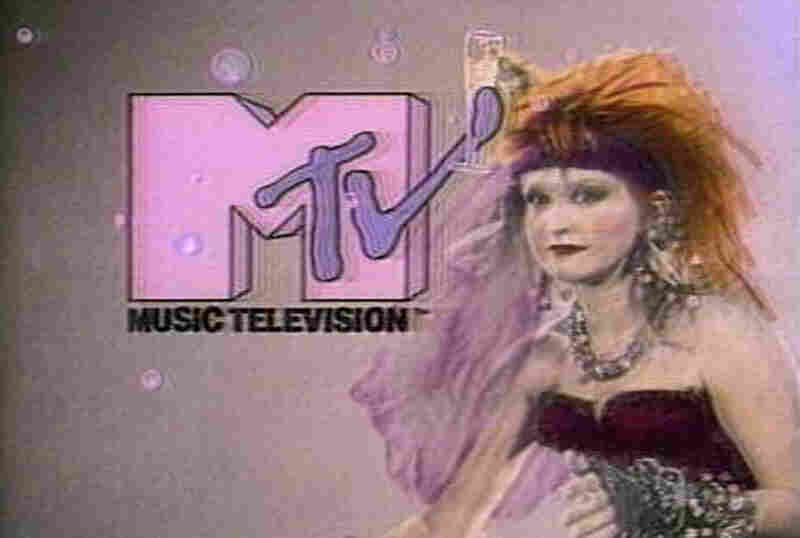 Cyndi Lauper, Mick Jagger, Pat Benatar and David Bowie are some of the musicians featured in the channel's 1982 "I Want My MTV" campaign. Craig Marks and Rob Tannenbaum have compiled a new oral history of the network, I Want My MTV: The Uncensored Story of the Music Video Revolution. Tannenbaum tells weekends on All Things Considered host Laura Sullivan that when MTV was launched, music videos were almost unknown. "In fact, if you had said to someone in 1981, 'Do you want to watch a music video?' the person would have said, 'I don't know what you're talking about,' because the phrase didn't actually exist." MTV struggled during its first few years. Conservative cable operators often refused to carry the channel. "They thought that MTV was a bunch of coked-up rock and roll fiends, and they were right in a way," Marks says. The company was just a few bad months away from going under, until several ad executives cooked up what became a legendary ad campaign featuring rock stars yelling "I want my MTV!" "That really was the turning point, that and Thriller were the two things that kept the network afloat," Marks says. Thriller caused a controversy at lily-white MTV. The network came under fire for its lack of black artists, but executives worried that their viewers just wouldn't like Michael Jackson. They changed their tune once the ratings came in. "They weren't idiots," Tannenbaum says. "Once they saw the ratings go up, they realized that they could program black musicians." Jackson led to Lionel Richie, Billy Ocean and other black musicians, though leery network executives had to be persuaded all over again when rap became popular. MTV's impact was immense during the 1980s. It made artists like Madonna and Guns N' Roses into stars. But if you turn on MTV today, you'll have a hard time finding any videos at all. The network began to back away from playing music videos in 1992, the year Marks and Tannenbaum chose to end their book. "One of the signature things that happened that year was that Bill Clinton was a constant presence on MTV in 1990-91, and he was elected president," Tannenbaum says. "Once you've helped elect a U.S. president, are you gonna go back to playing Winger videos?" Marks adds. That year also marked the debut of the first reality show, The Real World, which had a huge impact on the television industry. "It's very easy to trace the line from The Real World to Snooki," Tannenbaum says. "It's an alcoholic, crooked line all the way there, but MTV quickly realized and learned that narrative television, even reality TV, rated better than music videos." Other networks jumped on the reality show bandwagon. 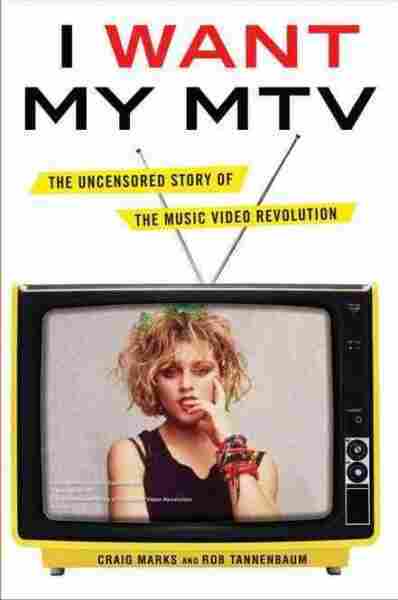 "I think The Real World was the last point where MTV could be considered revolutionary," Tannenbaum says.